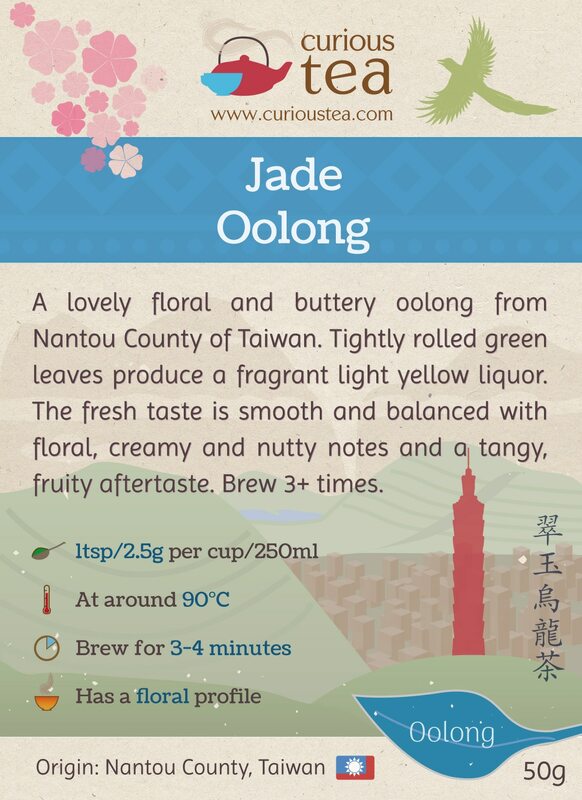 Jade Oolong is a lovely floral and buttery oolong from Nantou County of Taiwan. Tightly rolled green leaves produce a fragrant light yellow liquor. The fresh taste is smooth and balanced with floral, creamy and nutty notes and a tangy, fruity aftertaste. 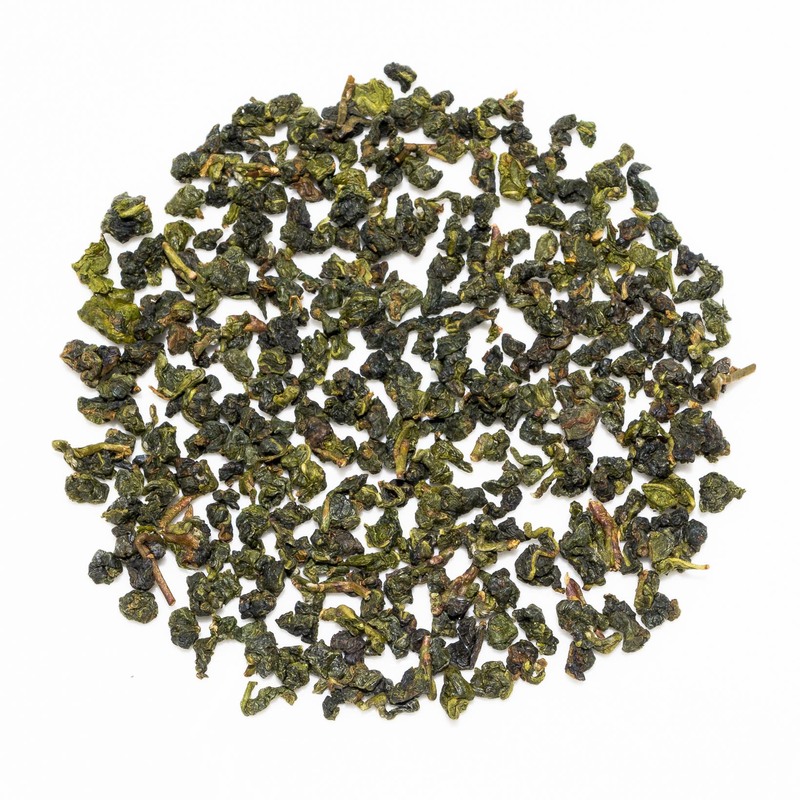 Jade Oolong (翠玉烏龍茶) is a fine light oolong grown in Mingjian Township in Nantou County of central Taiwan, picked in spring 2017. 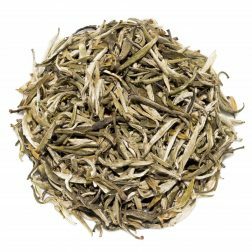 This tea has a wonderful profile that has the best of both worlds when it comes to great Taiwanese oolong tea flavours – it showcases a lovely light floral character while having a somewhat creamy and buttery profile. If you can’t decide between our creamy Milk Oolong and our floral Four Seasons Oolong, this is the perfect tea for you! Unfortunately, Jade Oolong has become somewhat of a generic term for light green oolongs from Taiwan, so you will often see Jade Oolong being marketed without any reference to cultivars used in making it. 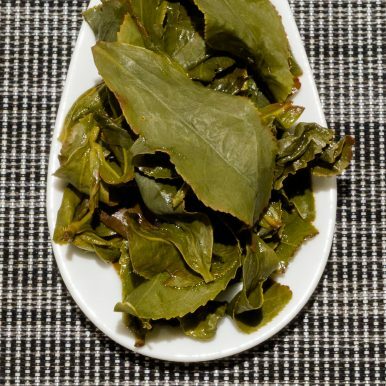 Our Jade Oolong, however, is made only using plants of the Cui Yu “Green Jade” (翠玉) cultivar, also known as TRES #13. Arguably this is the only cultivar that should be used in a Jade Oolong tea. Cui Yu cultivar was created in 1981 by the Tea Research and Extension Station of Taiwan (TRES) at the same time as the famous Jin Xuan TRES #12 cultivar that is used to make the very popular Milk Oolong. 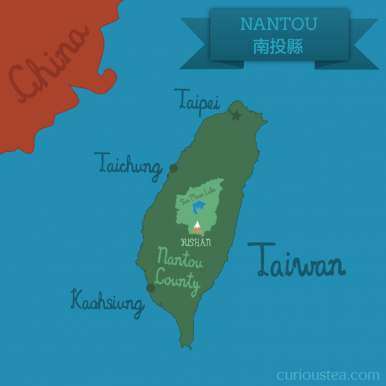 Both of these cultivars were well received and are credited with the revival and subsequent rise in popularity of Taiwanese oolong tea in the 1980’s and 1990’s. 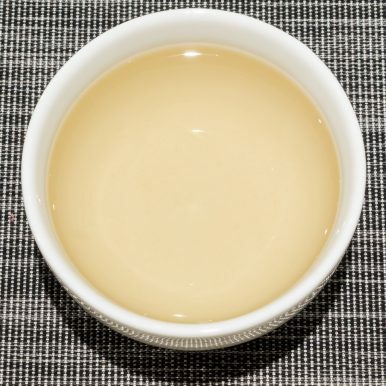 Unlike the Jin Xuan cultivar with its unique milky flavours and a strong consumer following and demand, Cui Yu has been recently losing popularity amongst farmers. As Cui Yu is not as easy to care for and grow for the farmers, it is being surpassed by plants of other cultivars, most notably the much hardier Si Ji Chun ‘Four Seasons’ (四季春). 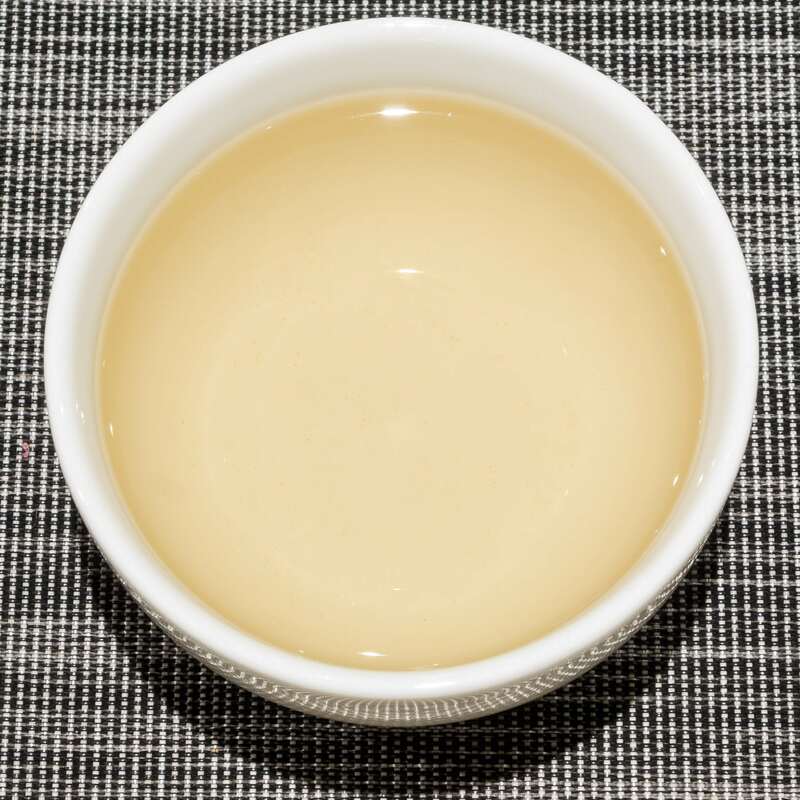 While Si Ji Chun may be more exuberantly floral in taste for consumers and easier to grow for farmers, it does lack some of the refinement and balance of flavours that can be found in a great Jade Oolong from a Cui Yu cultivar plants. Our Jade Oolong works really great as an everyday tea. 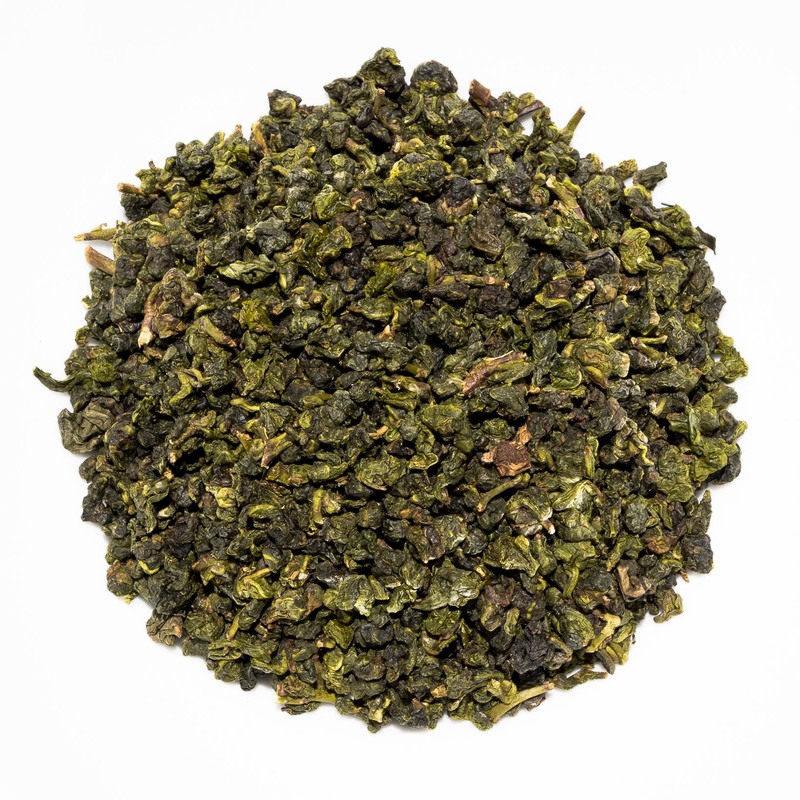 It comes from an experienced grower of Cui Yu, who has a deep understanding of the plant that can be appreciated in the aroma and taste of this lovely Jade Oolong. 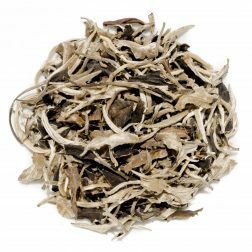 It is a low oxidized tea that is lightly baked which help keeps the fresh floral aroma and buttery scent. 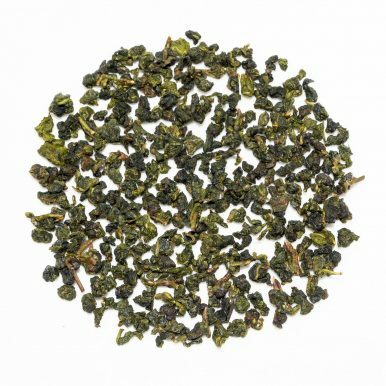 The leaves of this Jade Oolong are small rolled green pearls that have a light floral fragrance of red berries. The liquor is a light yellow green and clear with a gentle but pronounced floral aroma. The balanced flavour lacks any harshness, being clean and crisp. 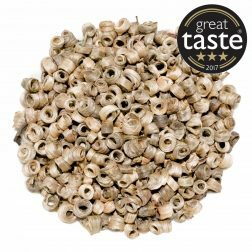 A pleasant buttery, creamy start is followed by a deeper floral and nutty taste, which is silky smooth. There is a bit of fresh tartness of red berries on the finish. 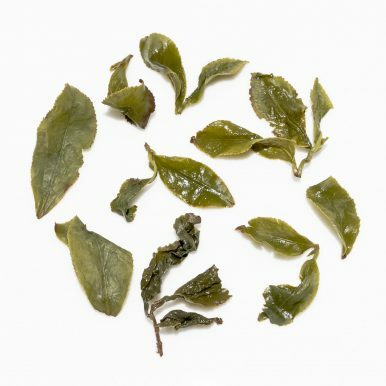 Overall a great light oolong that is both creamy and floral – a fantastic showcase for the Cui Yu cultivar. It is best brewed at 90°C for 3-4 minutes and should definitely be brewed multiple times to enjoy the different flavours from each brew. 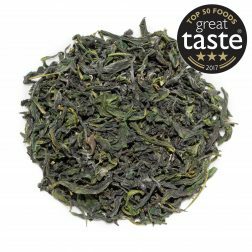 This Jade Oolong tea was first featured in our October 2017 Curious Tea Subscription Boxes.